Roll Up bag has 4 removable zip up bags that are attached by Velcro for easy removal. Great Organizer! 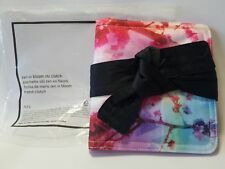 This MK LTD Edition Zen In Bloom OBI CLUTCH Compact Mini Holder-NEW IN PLASTIC is authentic from my personal collection of many. I am not affiliated with Mary Kay, Inc. neither am I an independent beauty consultant for Mary Kay. Mary Kay Black/Pink Travel Makeup Fold Flip Stand Foldable Mirror EUC. Condition is Used. Shipped with USPS First Class Package. MARY KAY PINK BAG LOVE SERIES, LIMITED EDITION, NEW!!! Mary Kay MK Signature Custom Compact with Mirror - Refillable - Silver - 8100. Each computer monitor shows a different variation of colors & shades. The shade you see on your screen might be different than what is shown on my screen. MARY KAY SIGNATURE Color Compact Silver With Mirror - New in Box - 2502. Mary Kay MK Signature Custom Compact with Mirror - Refillable - Silver - 2502. Each computer monitor shows a different variation of colors & shades. Mary Kay TimeWise Luminous Wear Liguid Foundation, Normal To Dry, Ivory, Beige!! Mary Kay Lot - Consultant Bag, Sample Products, Supplies, Book & DVD - NEW. Consultant Bag. (1) Lot of Mary Kay Products. Books (Mary Kay History & Calendar (don't know dates it is sealed). ). I am not affiliated with Mary Kay, Inc. neither am I an independent beauty consultant for Mary Kay. Any trademarks are reserved by Mary Kay, Inc. This pre-owned item has wear (scratches and small cracks) from use, handling, and storage. 3" in length with cap on. High quality, natural bristle. Just wash in shampoo, rinse and air dry. MARY KAY VOLUMIZING BROW TINT~YOU CHOOSE FROM 4 SHADES~BLONDE - DARK BRUNETTE! Mary Kay Eyebrow BROW DEFINER Pencil LIGHT BROWN NIB FAST SHIPPING!!! Mary Kay Eyebrow Pencil LIGHT BROWN. 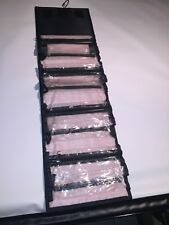 Mary Kay Brush Collection Set and Organizer Bag - NEW. 5 Luxurious Brushes! Powder, Cheek, Eye Color, Eye Crease, Eye Lash and Eye Brow Brushes. We are not affiliated with, nor endorsed by Mary Kay Inc. • Unifica el tono de la piel y oculta las ojeras. • Fórmula cremosa, ligera y de larga duración. Mary Kay Royalty Reception Seminar 1990 Mini Gift Mansion House "NICE CONDITION"
There are two slots to fill with your favorite Mary Kay Products along with a mirror. We are not affiliated with, nor endorsed by Mary Kay Inc. SWIVEL HANGER TO HANG FROM DOOR OR HOOK. 4 REMOVABLE CLEAR STURDY POUCHES FOR SHORT OR LONG TRAVEL. TRAVEL ROLL-UP BAG. 'LOVE' LIMITED EDITION~VERY CUTE WITH LOVE IN DIFFERENT LANGUAGES.